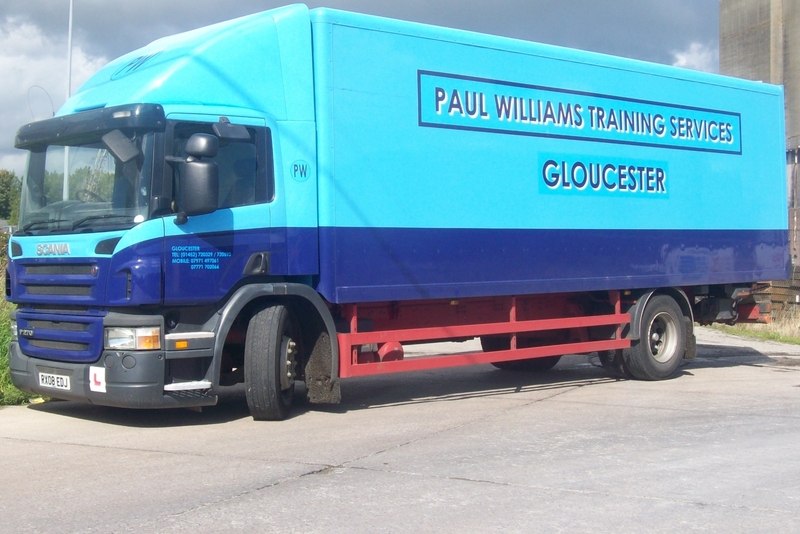 Paul Williams Training Services have a range of HGV and LGV courses available and can always deliver the training you need. With so many courses, it can be difficult understanding what you need. Our guide takes you through all our training and courses. Paul Williams Training Services can always discuss your requirements and advise you regarding the best course for your needs. As the only driving school for LGV and HGVs, private DVSA Approved Vocational Test Centre in Gloucester, it is always important to choose our team for thorough and professional training. We can always discuss these courses so you never have any issues booking or completing these courses. Both our Arctic and Rigid courses providing driving lessons and training for HGVs. With both training courses, we can advise you on exactly what driving tests and examiners are looking for, as well as using suitable lorries that will match the specification for the two exams. Once completing the Rigid course (Category C), you can then move onto the arctic course (Category C & E), having already learnt the controls. With both courses, we have a large reversing area so you have as much practice as necessary with all aspects of the vehicle. Both these courses also have the option of refresher courses. Whether you have been driving all your life and just want to be updated on the course or you have not driven for several years, these refresher courses are the perfect option to maintain the standard of your skills. These courses will allow you to drive vehicles over 3,500kg with a trailer over 750kg and vehicles over 3.5 tonnes and up to 32 tonnes. We have our own coach and mini bus that can be used for all our courses including class [D] Coach training and mini bus and trailer courses [Category D1 + E]. Before using our mini bus you must have your provisional D1 and also have completed your Hazard Perception and question test about buses. During your mini bus and trailer test, which will last approximately 1 hour and 15 minutes, you must also take a CPC demonstration test. This completed before or after the actual test. For our coach and bus training, we have a 55 seater, 12-metre coach with a manual gearbox and 6 gears, including a large v8 Mercedes engine. Our coach training is completed within four hours, with the number of days required being discussed at the assessment drive. We can also complete our bus training and courses with a trailer when a D + E license is required. We also offer training courses to ensure drivers can safely handle larger vehicles such as 7.5-tonne trucks. We again have training and refresher courses available for 7.5-tonne vehicles, ensuring you can depend on us for all training regardless of what experience you have. This courses can also be completed with a trailer, ensuring you have all the skills necessary to drive any vehicle, whilst also safely using a trailer with the vehicle. To take any of these courses and gain a qualification, you must be over the age of 18. If you would like more information on our courses or would like to book today, contact Paul Williams Training Services now. Call us on 01452 720329 or 07771 702066 or fill in our contact form to make an enquiry.